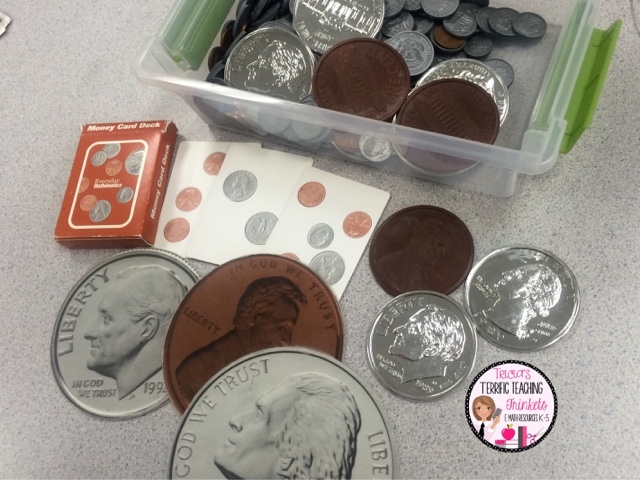 Three cool ways to teach coins! What fun! 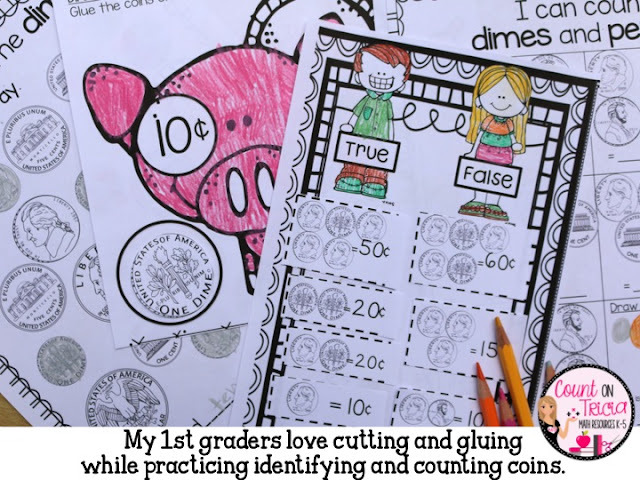 My First Graders and I are in the middle of a telling time and money unit. We are almost at mastery! Yippee! 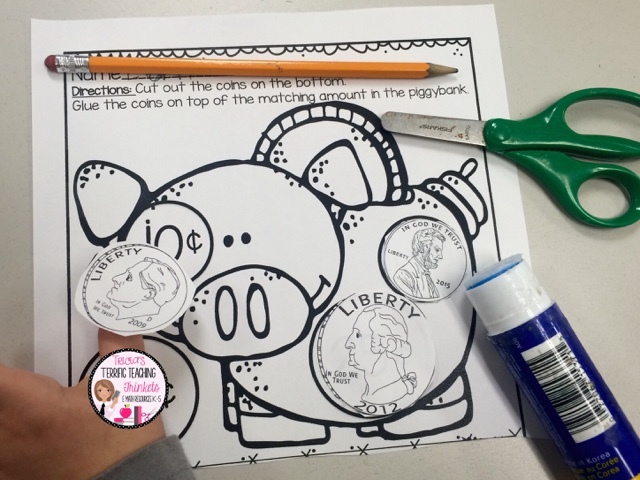 Here are 3 cool ways I get my students excited to learn coins! This post contains affiliate links. You can learn more by reading my disclosure statement. You can tell I was once a First and Second Grade Classroom Teacher! I love incorporating literature into many of my math units. Here are a few of my favorite books I personally own that my first graders have made a connection with. Don't have books? Have you ever gone to your public library to search for math non-fiction titles? My library is chock full of amazing newer titles. I like searching the J 332 and J513 sections. I can be seen checking out endless baskets of books from these sections! I begin each lesson with a short read aloud and then place the books in our math literature tub. If students finish early, they love choosing a book to enjoy on the carpet. 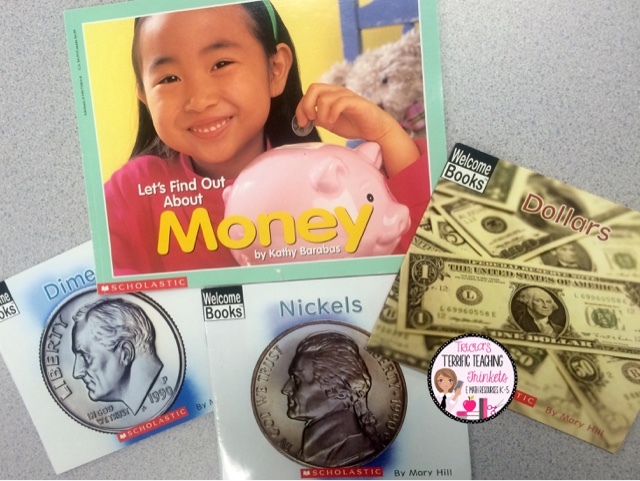 Books are one of my favorite ways to teach coins! I rely on Anchor Charts daily. I love referring to these visuals! I mean...Love Love Love! Here is the short story what introduced me to my LOVE of anchor charts. A few years ago, I had a principal that pushed me to meet everyone of my student's individual needs. It was the year I had 13 students enter our Second Grade classroom significantly below grade level. I created 13 RTIs filled with data, goals, individual strategies, accommodations and modifications. In my numerous evaluations meetings, my principal would ask me to reflect on how I was meeting that student's individual needs. She would ask...What type of learner are they? What am I doing to support THAT student's learning style. What extra supports did I put in place in my classroom to help support each student's individual learning style. As she was speaking to me in my head I was thinking , "What? Type of learner? What is she talking about? How will I find out how each of my 26 students learn best? I don't even know how I learn best?" I started researching learning styles in particular visual, auditory and kinesthetic learning. I also began to reflect on my own experience as a student in French class. The entire class was auditory. The teacher never wrote anything down. She just spoke in French to us. It was very difficult for me to remember how to say these new words without seeing them in front of me. After class, I would quickly scribble down all the words I could remember in a phonetic spelling so I could practice them by reading them over and over again. Bingo! There it was! I needed visuals to help support my learning. I just never realized that before my learning style conversations with my principal. My student love all of my different coin manipulatives. 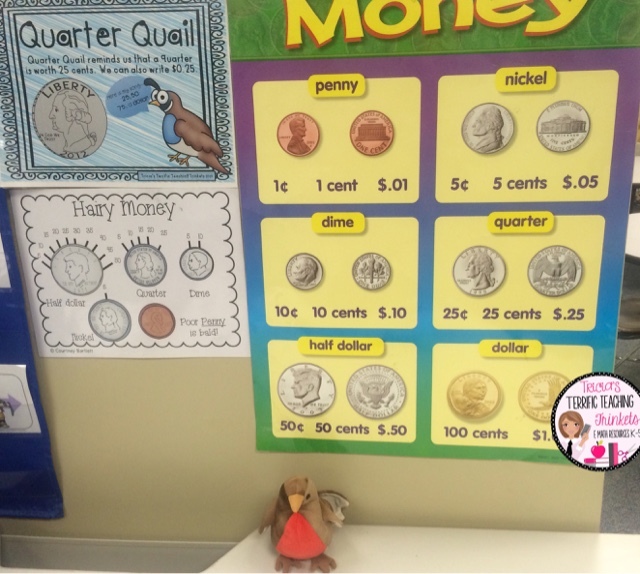 Little coins, plastic coins, real coins, and especially my GIANT laminated coins (their favorite). We use these giant coins during calendar time to display the date using coins. This is probably one of my students favorite ways to learn coins. I created 3 separate money journals for my students. Each journal page is an extension of a lesson and increases in difficulty. 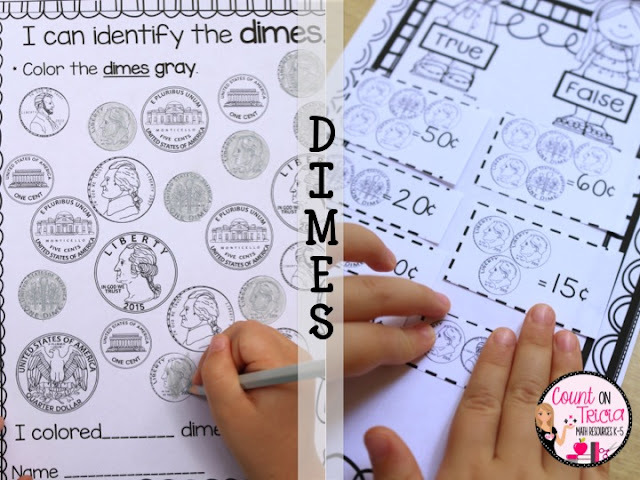 (Pennies and Nickels, Dimes and Quarters) The children love coloring coins, cutting coins, drawing coins and counting with coins to help them understand the concepts. 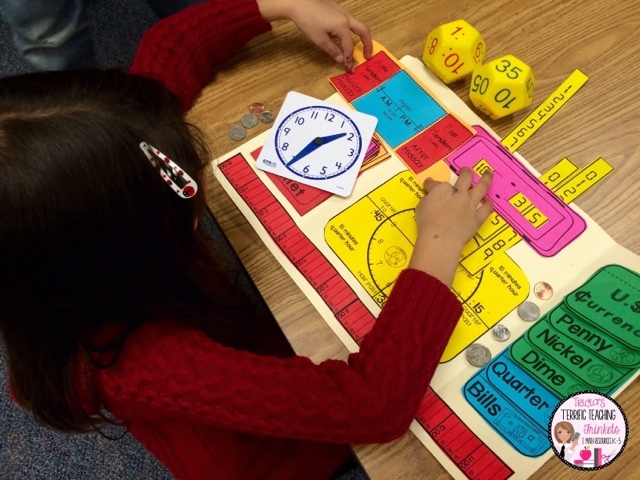 Students love to play Coin Tic Tac Toe, Coin Top-It and True and False. 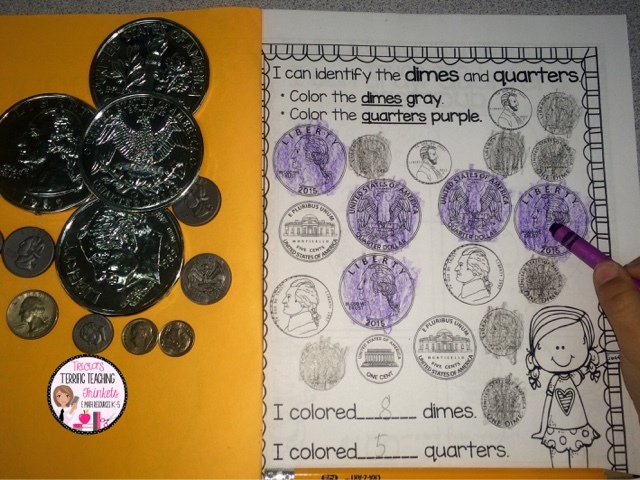 Lastly, my absolute favorite hands-on practice is our Time and Money Lapbook created by Undercover Classroom. It is cute, colorful and practical to use. This ongoing activity is an amazing reference for the students. We put the lap books together through a series of mini lessons. Each morning the students would walk in asking if today was the day that we would add more to the lap book. Each lap book has a wallet full of paper coins and dollar bills. 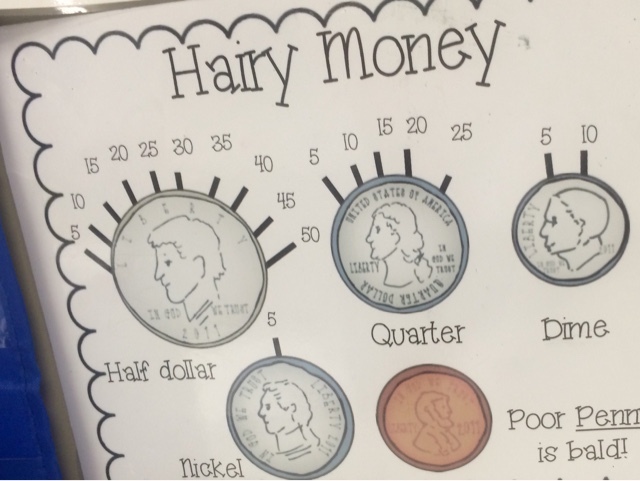 While the students were cutting our their bills and coins they would squeal with delight how "rich" they were. I couldn't help laughing out loud about their enthusiasm and sheer "cuteness". Sometimes on "Fun Friday", I will ask students to open their lapbook as a reference and I will run a mini gameshow with questions matching the information in their lapbook. They love my buzzers, spinners and sound effects during the gameshow and the excitement is off the charts during this practice! 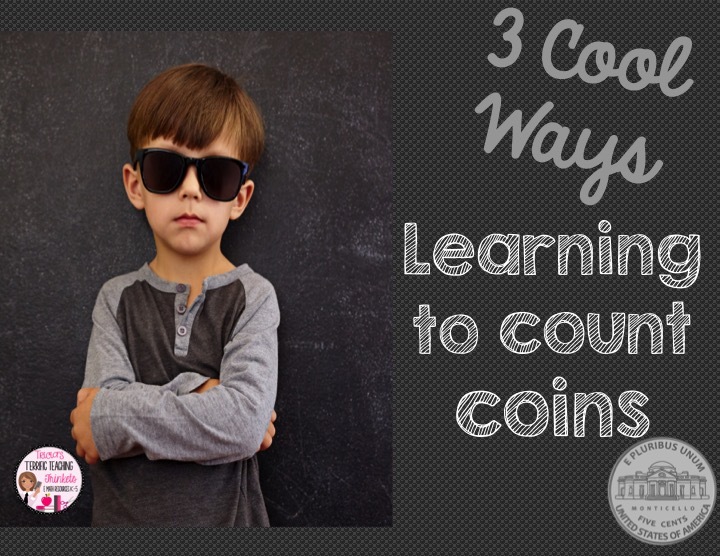 There's my favorite three ways to teach coins. What are yours?